Today was the last day of 3-day Oze tour. I visited three waterfalls today, where Bunasaka Spring Falls or Bunasaka-no-shimizu was one of them, which looked as shown above. 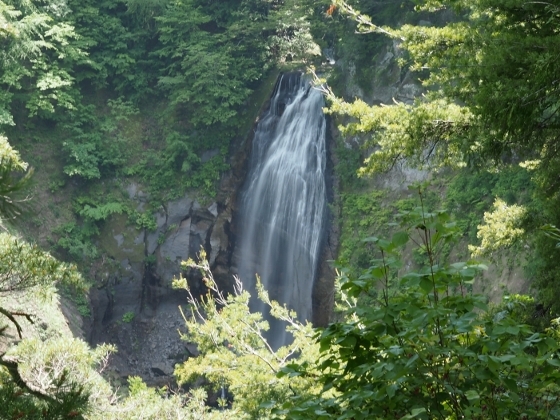 The waterfall was located along National Road 352 between Ozemiike and Nanairi. 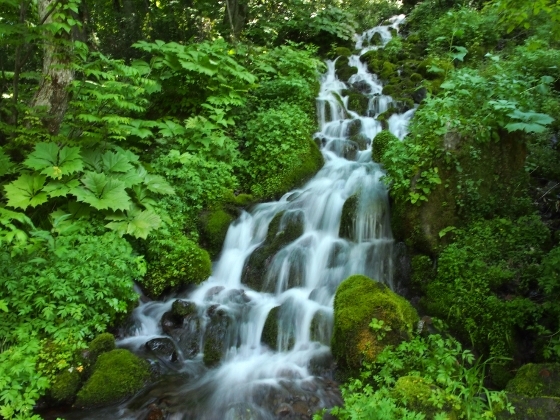 It was really a refreshing view with plenty of fresh spring water falling down the roadside natural slope. About 5-minute walk down the road, there was an observatory for another waterfall called Mokake Falls as shown above. 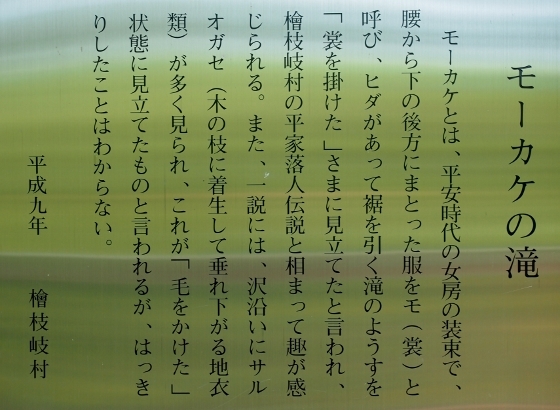 A description board above said that it was named after women’s clothes which date back to Heian Period. 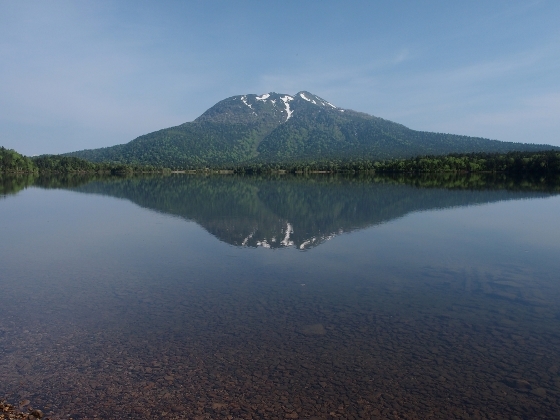 After I left Lake Ozenuma this morning, I first visited Sanpeishita, where Mount Hiuchigatake, a symbol of Oze, Looked as shown above, reflected upside down on the lake. 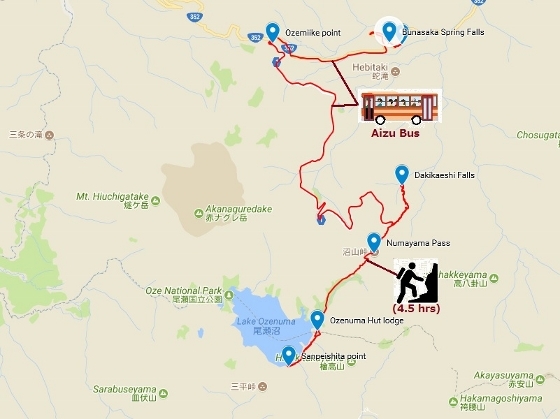 Then I changed direction toward Numayama Pass (1784m) and after passing it I farther descended toward a waterfall called Dakikaeri-no-taki or Dakikaeri Falls. All these mountain trails were part of an old Numata Highway. 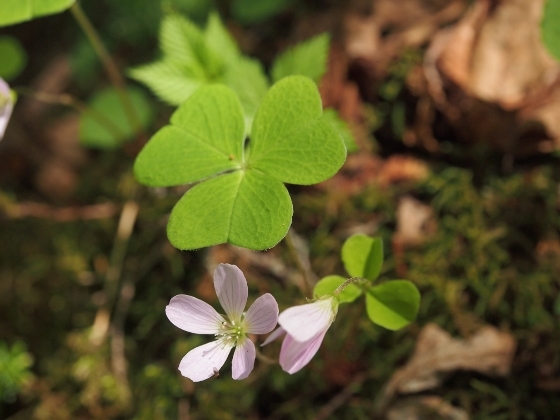 In old days, people of Hinoemata used to travel by foot all the way to Numata, Gunma Pref. passing mountains of Oze. Dakikaeri Falls was located some 30-minute descent from Numayama rest point and it looked as shown above. 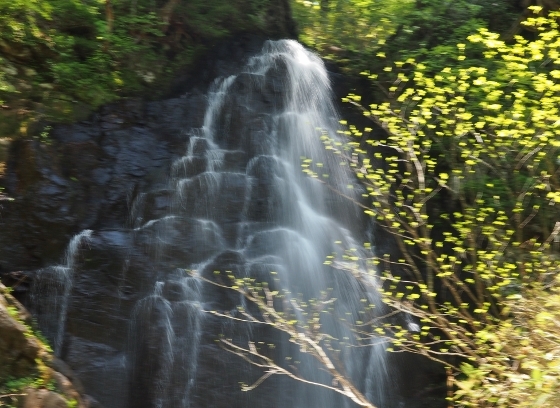 (Although the photo is not good, it can give an image of the falls.) The water fell along a large rock creating a unique water pattern on the surface. The only human being I met along the trail down to the falls was a woman climbing up from Nanairi. I happened to find white or pink small flowers I did not know. 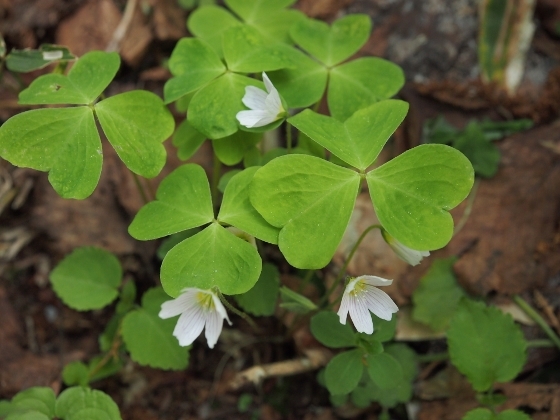 I checked on a picture book and found they were Komiyama-katabami or Oxalis acetosella as shown above. 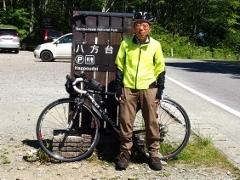 This is the end of 3-day Oze tour report. I uploaded my blog for the three days all at once because Oze area was out of internet coverage.